If you’re looking for a lifestyle like no other, in a place like no other. If you’re looking for exciting business opportunities or you’re chasing a rich and rewarding career. Look no further. There’s a place for you in Tasmania. 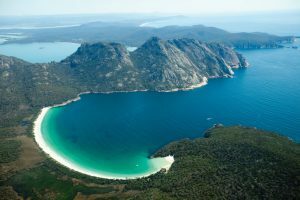 Tasmania offers a wide range of employment opportunities for skilled migrants, as well as a great lifestyle in one of the world’s most beautiful environments. The state’s economy has developed rapidly in the past decade, however there are still skills shortages in particular areas. Tasmania needs skilled and innovative people in the fields of health, engineering, mechanics and construction trades. The Department of Economic Development, Tourism and the Arts actively sponsors migrants under the Skilled Sponsored (SS) and Skilled Regional Sponsored (SRS) visa programs. Tasmania offers a range of business and employment opportunities for skilled and business migrants. Tasmanian employees gain qualifications and experience that is often much broader than in more populated areas. This means that people wanting more responsibility and influence can often fast-track their career prospects. Tasmania currently has a demand for skills in many different areas including health care, education, agriculture, energy, fisheries, information and communication technology forestry and timber, Antarctic and Southern Ocean research, infrastructure, marine manufacture, minerals and mining, tourism, and services and retail. Tasmania’s three major newspapers feature employment sections: The Mercury (southern Tasmania) http://www.themercury.com.au/, The Examiner http://www.examiner.com.au/ (northern Tasmania), and The Advocate http://www.theadvocate.com.au/ (north-western Tasmania). Most vacancies advertised in The Mercury are advertised at CareerOne http://www.careerone.com.au/. The vacancies advertised in The Examiner and The Advocate are advertised on MyCareer http://mycareer.com.au/. For vacancies within the Tasmanian Government, visit www.jobs.tas.gov.au. orientation meetings to assistant migrants establish themselves in Tasmania. introduction to employers and recruitment agencies. small business assistance through Business Point and state-wide Enterprise Centres. The Business and Skilled Migration Unit can assist you throughout your migration process, before and after your arrival. introductions to government and industry contacts.